Evening Star® Brand Stainless Steel Transformers are engineered for both Incandescent and LED lighting systems. All of our models feature a Thermally Protected, Resin-Sealed Toroidial Core for Efficiency and Reliabillity. Circuit Breaker Protected, Multiple Voltage Taps with Large Terminal Blocks. The enclosures are made from high quality brushed stainless steel, and include our laser engraved logo. 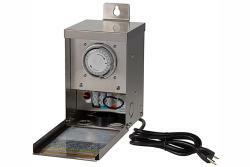 All models are fully gasketed, weatherproof and are provided with a locking hasp, mounting tabs and hardware. Evening Star® 75 Watt Stainless Steel Transformer with 12 & 15 Volt Taps. Includes a built-in Mechanical Timer. 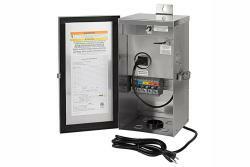 Evening Star® 150 Watt Stainless Steel Transformer with 12,13,14 & 15 Volt Taps. 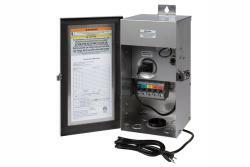 Evening Star® 300 Watt Stainless Steel Transformer with 12,13,14 & 15 Volt Taps. 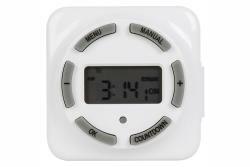 Evening Star® Digital Timer for use with 150 and 300 Watt Transformers. 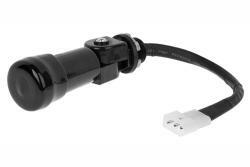 Evening Star® Photocell automatically turns lights on at dusk and off at dawn.